Every company we work with has a different story. That’s why we build different strategies for each one. Here you can read some of these stories and plans and find out how we helped these companies grow. 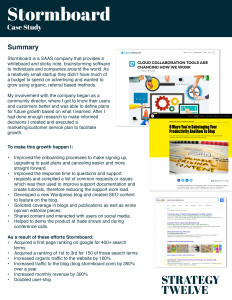 Stormboard is a SAAS company that wanted to grow in an organic way by taking advantage of improved UX, word of mouth referrals, increased SEO and PR. 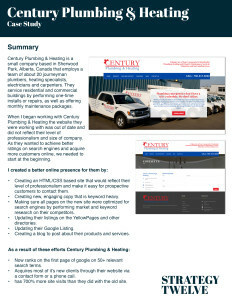 Century Plumbing & Heating is a company that wanted to put itself on the map (AKA, search engines) by projecting a more professional image and making it easier for prospective clients to contact them.